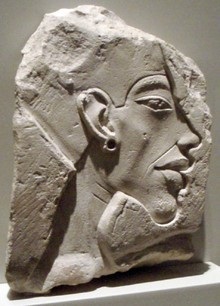 In all the history of ancient Egyptian, one pharaoh stands out as truly unique: Akhenaten. During his brief reign, he changed everything: adopting a new name and moving the capital to a remote desert location; sponsoring disturbing new art forms and novel architecture; rejecting the old gods of Egypt to worship one god alone. Why? 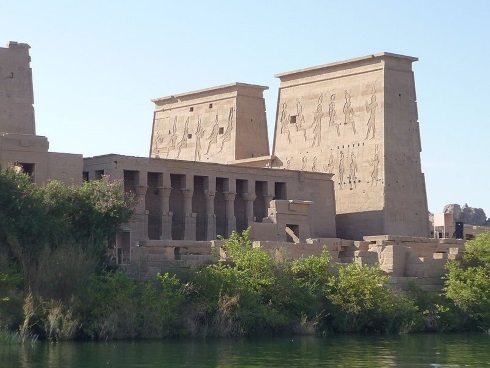 Even as ruins, the palaces and temples that sit astride the Nile at cities such as Thebes, Memphis and Heliopolis can still amaze. Their stones and hieroglyphs are testament to the ambition, sophistication and continuity of the civilisation that built them. In the Valley of the Kings lie more wonders, the burial places of royalty from time immemorial. The first dynasty of ancient Egypt was established more than three thousand years before the birth of Christ. Its thirty-one successors held sway until the coming of the Romans and the dawn of the Christian era. At its high point, the Egyptian Empire stretched from Sudan in the south to the borders of Turkey in the north. Tribute from conquered peoples and allies made Egypt rich and self-confident. The attainments of her building projects are astounding for any epoch. The Great Pyramid of Cheops (Khufu), standing just over 480 feet high and for over four thousand years the tallest structure on earth, was crafted by a people who had neither iron, nor wheel, nor capstan, nor pulley. It reputedly holds enough stone to build a wall ten feet high and five feet wide from Calais to Baghdad. For this to have been constructed by a society without modern technologies is almost beyond comprehension. Not surprisingly, Egyptians were proud of their heritage and valued the old ways. Yet in the fourteenth century BC, towards the end of Egypt’s eighteenth dynasty, something quite remarkable happened. Centuries of tradition were overturned. A new ruler compelled the court to quit the ancient capital for a metropolis built from scratch on the edge of the desert. Leaving behind the treasured places of his forefathers and moving to virgin land was deeply symbolic, but greater upheavals were to come. This same pharaoh signalled a change of spiritual allegiance by altering his name, turning his back on the old pantheon of gods and instituting novel forms of worship. He promoted radical and innovative art forms so shocking in their representation of the human body that some believe they indicate hereditary disease in the royal family. There appears to have been a period of national self-absorption or introspection that left the country largely paralysed in the face of military and political threats from beyond its north-eastern borders. Most revolutionary, divisive and cataclysmic of all for a people steeped in polytheism, this monarch insisted on worship of one god above all others. By the time the seventeen years or so of his reign had passed, Egypt was in turmoil, her old ascendancy abroad vanished. She was never to recover her former hegemony fully. The man who did these things was Akhenaten – so reviled by later generations that he was called “criminal”, “rebel” or “enemy”, his name deliberately omitted from the king lists which were recited to ensure nourishment to the departed in the afterlife. The aim was no less than to bring about the personal obliteration of a man whose very memory was anathema, for Egyptians believed that only through such commemoration was rebirth possible. Within a short space of the heretic’s passing Thebes was again the capital and temples to the old gods had been re-opened. There followed a self-conscious national act of forgetting that attempted to erase all trace of this unique experiment. What had brought it about? After six years on the throne Akhenaten publicly, decisively and irrevocably chose to identify himself with Aten by changing his name. This was a statement of future orientation and direction that for many of his subjects, perhaps even most, must have been deeply shocking. Their monarch had originally been called Amenhotep, in honour of the god Amun. This deity had hitherto been regarded as chief of the Egyptian gods. He was the divinity of reproduction and the life-giving force, into which other gods had progressively been assimilated so that he became Amun-Ra, the supreme creator. 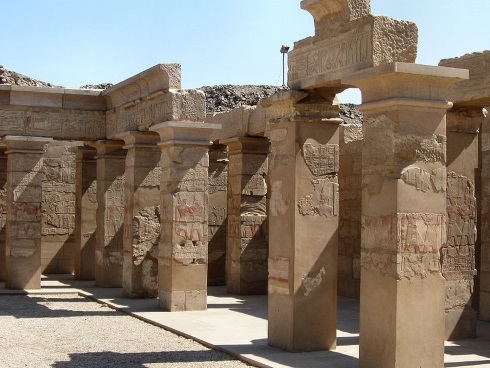 From the start of the New Kingdom he was venerated as a victorious national god, with a cult temple at Weset (Thebes). For the king to turn his back on him was a denial tantamount to outright betrayal. In one fell swoop the very person who should have been ultimate guardian of the nation went against some of its most important norms and in doing so undermined key pillars of church and state. In the process he must have alienated many who in normal circumstances ought to have been natural supporters. It was by any stretch of the imagination an astonishing departure, and this by a man come relatively new to the throne, who we can reasonably suppose might still have needed to consolidate his power after succeeding a long-lived predecessor. The animosity of the influential priestly caste must have been enormous. We get some measure of it from the opprobrium heaped on Akhenaten after his death. The name that Akhenaten selected for himself went beyond a simple badge of allegiance. It was no passing fancy, no issue of style or fashion but of the gravest import. In the ancient Near East names were of tremendous significance. They were indicators of respect, devotion, belonging, authority, vassalage, reputation and character. To adopt a name incorporating that of a deity was to pledge lifelong fealty to the god concerned. In the clearest terms, Akhenaten announced that he was the liege-man and subject of Aten, but at the same time he made bold claims for himself in terms of personality and function. Instead of continuing to bear the title Amun is Satisfied he desired to be known as Effective Spirit of Aten. The choice of epithet was designed not just to signify loyalty to his god but also to project Akhenaten’s view of his own relation to the deity, proclaiming that the very spirit of the divine was at work in the king and made manifest through him. Whilst it was hardly entirely unprecedented for monarchs to make grandiose assertions about being above the ordinary run of mortals, the ambition of the claim was enormous and could scarcely have been lost on contemporaries as more and more reforms were put in place: people were to be left in no doubt that the pharaoh and his immediate family were to act as the primary (and, as far as Akhenaten was concerned, perhaps even the sole) mediators between god and man. In the process, a large part of the existing priestly caste was effectively rendered redundant. Constructing a new city at Akhet-aten (meaning, Horizon of Aten) was a mammoth undertaking, some six years and more in the building. Even the resources of a kingdom that was skilled in erecting monuments on an extravagant scale must have been strained by it. Pharaohs throughout the ages had felt the need to make grandiose statements in brick and stone, but to modern eyes at least the call for this particular means of expressing a break with the past is not immediately self-evident. To our way of thinking, the splendour of the king, the delights of his new theology and the superiority of his god could have been proclaimed equally well in traditional centres of Egyptian power. In some respects it might be thought that to have usurped the bastions of other deities in this manner would have been an even clearer signal of the precedence of the new over the old. It would certainly seem to have made more sense in terms of spreading the word amongst ordinary people and enabling the ruler to monitor and exercise control over dissidents. For the occupant of the throne, however, only the untouched ground of what became Akhet-aten would do. This was not out of dislike for other places, since he seems to have continued to use royal residences in other parts of the country throughout his reign. No doubt he was enthused by having a clean slate on which to build and enamoured of the chance for a pristine environment untainted by association with other gods. Perhaps he was influenced by wishing to avoid intrigue or even forestall sabotage by a disgruntled priesthood. In his mind’s eye he may have pictured the perfect site for his new undertaking being positioned (as Akhet-aten fortuitously was) more or less equidistant between the historically competing centres of Thebes and Memphis and astride the no-man’s-land between their corresponding regions of Upper and Lower Egypt. Yet the fundamental underlying impetus went beyond the practical and beyond all considerations of cementing national unity or sidestepping regional rivalries. Indeed it flew in the face of practicality, for as the rapid later abandonment of the new city by officialdom confirmed, its location was unsuitable as a large population centre, or at any rate as the seat of government. As for burying past enmities and bringing the nation together, the divisive nature of Akhenaten’s novel experiment was clearly exposed after his death. The primary motive for the creation of Akhet-aten was in fact unashamedly theological. Akhenaten himself asserted that divine inspiration was behind the move, leaving around the boundaries of his selected location a series of monumental inscriptions in which he outlined his reasons for alighting there and a list of buildings which made clear his architectural intentions. Whether we take such proclaimed intent with a pinch of salt or not, the physical setting which he chose for his new capital would certainly have been striking to ancient Egyptian eyes, accustomed as they were to reading contours and landscape in a way that we are not. The city was constructed on a plain laid between two sharply rising escarpments, making the perfect surroundings for viewing the ascent of the sun. When its disc was seen first thing in the day with cliffs to either side the result was a natural environment which formed a circle enclosed by lines left, right and beneath – the hieroglyph for Akhet-aten. Thus to adherents of the king’s favoured cult the very landscape announced and enfolded the supreme divine name, putting the unmistakable stamp of the highest god upon the curve and fall of its terrain, and in doing so proclaiming the title which the city to be built there in his honour was to bear. It occupied a place that Akhenaten was at pains to make clear had hitherto belonged to no mortal and to no other deity, set apart from the beginning of time for the very day and hour of its eventual discovery by the king. 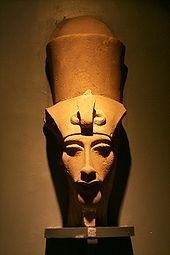 Neither the time nor the whereabouts of Akhenaten’s birth is certain. Nothing is known about his upbringing, beyond what can be conjectured in general terms from the manner in which Egyptian princes were habitually raised and educated. Little is understood of the reality that lay beneath the surface of his family relationships. We cannot tell how he behaved in private with parents, siblings, children, wives or concubines. Even the nature and tenor of more public interactions such as those with nobility and priesthood is at best speculative. We may only guess at the ties which bound and those which burdened. Of all rulers of ancient Egypt, he is amongst the most enigmatic. His claim to uniqueness rests on the religious reforms he put in place and on the actions which seemingly flowed inexorably from them, yet even here much is seen through a glass darkly. Whether he really believed in one god to the exclusion of all others (rather than merely elevating Aten above other deities in the pantheon) is open to doubt. The extent to which he genuinely made a decisive break with the past or simply took existing trends to a new level is debatable. Opinions differ as to the degree to which those distortions in artistic representation that his reign witnessed reflected attempts to render a true likeness of the pharaoh and his family. What really lay behind Egypt’s apparent lack of vigour in responding to developments beyond her north-eastern frontier is now almost impossible to discern with absolute certainty. As with all matters where archaeology is uncorroborated by a reliable and at least moderately complete written record, there is the distinct possibility that suppositions about his reign are fatally skewed by the accidents of what has and has not been unearthed. Given this background, it is clearly unrealistic to expect that we should be able to reconstruct every detail of the king’s beliefs. Nevertheless, though nowhere is a comprehensive theology set out, there are broad outlines at least for which there is either direct evidence or where reasonable deductions can be made. For example, depictions of Aten in tomb carvings, paintings and such like show both a progression throughout the reign and, with it, an increasing departure from what had gone before. As the years went by it is evident that this god was seen more and more as one who could not and should not be represented in human or animal form. In this, he was quite unlike any other deity of ancient Egypt, whether it be the jackal-headed Anubis (protector of the dead, who was thought to control weighing of the heart after death and preside over mummification), the falcon-headed sun god Horus or even Amun himself, variously shown as a goose, a curly-horned ram or hawk-headed when appearing in his guise as Amun-Ra. The treatment of Aten was in stark contrast not only to each of these but to all other gods of this most polytheistic of societies. By the end of the court’s sojourn at Akhet-aten, the one whom the pharaoh asserted to be the Supreme Being and creator of all things was signified exclusively by a stylised sun-disc. From this orb projected rays which ended in hands that reached out to or caressed the occupant of the throne and his nearest family, although even this depiction seems to have been understood purely as outward sign and manifestation of an invisible god. Gone were images from earlier in the reign where Akhenaten had been content to honour the composite sun god Ra-Harakhty-Aten, shown with a human body, the head of a falcon and the sun emblazoned above. Moreover, after Akhenaten had been on the throne for about nine years, the way in which the names of Aten were written was revised. Those parts of his titles that had previously referred to the deities Ra-Harakhty and Shu were removed so that he was no longer tainted by association with lesser gods. At the same time, his name began to be enclosed in double-bordered cartouches of a kind that had previously been reserved for pharaohs and their consorts, further underlining the close link between kingship and divinity. To make this connection even more explicit, the sun disc was now shown wearing the protective cobra (uraeus), the most prestigious item of royal and divine regalia. As best can be told, these changes coincided with the point at which words and images which referred to Amun started to be removed or defaced wherever they appeared in temples and tombs or on monuments, with other words and phrases deemed unacceptable also being erased and new forms instituted in their place (although this was not done with complete consistency). So, for example, the word for truth (ma’at) began to be spelt out phonetically instead of by using the hieroglyph for the goddess who bore that name. The same was done with the word for mother (mut), thereby avoiding use of a hieroglyph which represented an eponymous vulture goddess. Henceforth the word for god did not appear in the plural. It appears that by this stage at the very latest the king had taken the fateful step of unambiguously recognising Aten, and him alone, as a god without parallel or competitor. Before Akhenaten came to the throne the conventions of Egyptian painting, carving and statuary were well-defined and rigidly followed. Pharaohs were shown in heroic style, with what appear to be limited attempts at lifelike representation. Form and layout were strictly controlled, leaving little room for individual expression on the part of the artist. Canons of proportion dictated how much of a scene each human figure should occupy so that only posture and facial features were capable of different interpretation. Given this background, the art of Akhenaten’s reign marks an extraordinary rupture with what went before. It amounted not merely to tinkering around the edges but to tearing up the whole rule book. Nowhere is this more apparent than in depictions of the ruler and his family. The king, his chief wife Nefertiti and their daughters are portrayed with distended skulls, elongated necks and other physical peculiarities which appear to modern eyes as deformities. The pharaoh’s body is given what appear to be female as well as male characteristics, with wide hips, rounded belly and breasts. So great was the dislocation caused by these aberrations that the former certainties of Egyptian art were never fully recovered. In another way, too, this new art dispensed with the formalities of bygone years. Its scenes of royal family life are unique in giving a picture of domestic intimacy that is repeated nowhere else in what has survived from ancient Egypt. Akhenaten is shown dandling his daughters on his knee in a way that was no other pharaoh before or since. The sudden coming into being of such representations and their equally swift disappearance once one short reign was over demands explanation. Opinion is divided as to whether depictions of this ruler’s body are intended to be naturalistic or not. Those who say they are believe the monarch suffered from ailments or genetic disorders which have been variously diagnosed, with leading candidates including the conditions known as Fröhlich’s Syndrome and Marfan’s Syndrome. Those who prefer to read symbolically have produced an equal flurry of speculations to support their cause. Yet whichever it might be, the same question arises, namely why someone able to exercise complete control over artistic output should command or permit that he be displayed in a manner so apparently unflattering, so seemingly contrary to all contemporary ideas of royal dignity and so different from the rigid conventions of preceding ages. As with so much else involving Akhenaten, definitive proof is hard to come by. Such evidence as is available suggests that threads both naturalistic and symbolic were interwoven. Recent analysis of the skull of Tutankhamun indicates he had the distinctive head shape that is ascribed to Akhenaten and his daughters. The likelihood, therefore, is that this element of the royal family’s representation, at least, had its basis in real life. Yet as for other aspects of how the pharaoh and his close kindred are shown, it is perfectly possible that the aim was not realism but propaganda: a portrayal of the king as confidant of and mediator for the supreme god, designed to make the occupant of the throne seem a creature so above and beyond the human that he was pictured inhabiting a different body, a fleshly tent into which were gathered all attributes, including those both male and female, in the same way that Aten had subsumed all other gods. 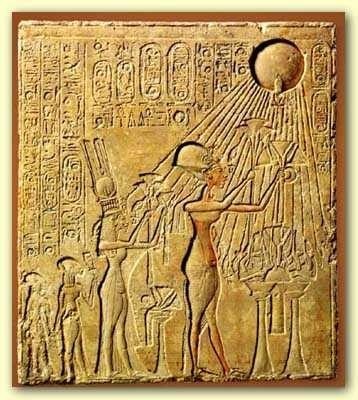 This certainly would be consistent with the name by which Akhenaten chose to be known, for as well as meaning ‘beneficent’ its akh component embraces notions such as transfiguration or transmutation, bright shining brilliance and personal union with the sun god, re-enacted each daybreak. It points moreover to the border between earthly and spiritual, human and other-worldly: for once mummification was complete, the dead were thought to become akh spirits, acting as intercessors for those who remained behind. Akhenaten’s radical departures from the practice of former years raise above all the question of motivation, for their most distinctive elements cannot be explained merely by extrapolation from the past. To contemporaries they must have seemed baffling at first and then progressively more and more bizarre. So inexplicable, so against all convention, order and habitual thinking were the things this pharaoh did that his people would have been forgiven for thinking him mad. 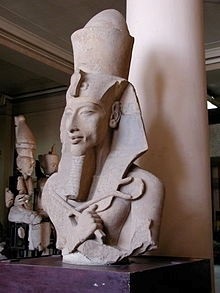 What if Akhenaten’s father Amenhotep III were the Pharaoh of the exodus? Then there would be a convincing psychological explanation for why the son should have pursued the curious religious policies of his reign – an explanation which otherwise is lacking. The young prince could either have seen as a boy or heard later from those who had themselves been present of the terrible calamities which befell his nation in the days of Moses. For someone of honesty and questing intelligence, there would have been only one conclusion to be drawn: that the myriad idols of Egypt had been vanquished by the one true God of the Hebrews. If so, it is no wonder that he should then have turned his back on the old deities and sought a single object of worship. Since the One the Israelites called LORD had revealed himself in fire – first in the blaze of the burning bush and then in that great column which led Israel and stood between her and her enemies – it is wholly believable that the future monarch should have alighted on a divinity whose symbol was the huge ball of flame which passed each day across the heavens. As desert locations seemed in some manner special to the Semitic God, it was logical for the king to search in similar places to find a suitable home for his new capital. Had he borne the burden of knowing that the throne had devolved upon him only because of the plague on Egypt’s firstborn, how might this have weighed upon him as the years passed and caused untold convolutions in his mind? Ultimately, these things are matters of speculation. The evidence is such that one theory does not yet stand head and shoulders above another as the only reasonable interpretation of the facts – but what if? An extended version of the above can be found in Moses and Pharaoh: perspectives on Exodus by Philip Quenby (Onwards & Upwards Publishers, 2014).